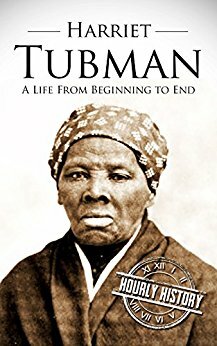 This is a short biography on the 19th Century American activist Harriet Tubman, whose activities included fighting for the abolition of slavery in the United States, transporting slaves from slave states to the progressive Northern free states, fighting the civil war on the side of the Union and eventually, fighting for women’s suffrage. The book starts with the history of slavery in the United States, then moving on to the family which Harriet served, the brutality that she had to withstand which led her to attempt to escape. The book then focuses on how she used the Underground Railroad to rescue slaves from the Southern states and her eventual role in the Civil War and how her knowledge of the rail roads helped the Union. The book also focused on the role of religion in her life which proved to be a driving factor in her taking up such daring tasks. The book covered the issue of slavery in the United States very well and it also described the attempts of Tubman’s escape in good detail. The book also did a good job in bringing out the various aspects of her life, personal, religious, the abolitionist and the suffragist. However, I felt that the book was more on slavery in the United States than it was on an individual. The book started with the attitudes of various Presidents towards slavery and then, going on to describe a lot of achievements of Frederick Douglass and eventually, even a short note Martin Luther King Jr. towards the conclusion that I felt I was reading a book more on slavery and civil rights than on a particular individual. The book was certainly informative, but I felt it was under the wrong title and I guess that is the reason why I would have to downgrade the book to a rating of five.